The Jupiter Ascending star, who plays rocker Nikki Sixx in the Netflix biopic, shares his favorite way to watch TV, the most recent series he binged, and what it's like to get guitar lessons from the members of Mötley Crüe. 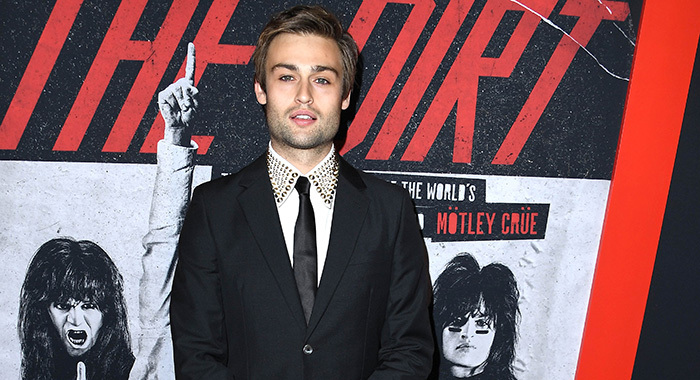 Cinematic time-traveler Douglas Booth once was the Romeo to Hailee Steinfeld’s Juliet in Romeo and Juliet, he then boarded Noah’s arc in Darren Aronofsky’s Noah, and later became intergalactic royalty in contemporary sci-fi confection Jupiter Ascending. Now, he’s channeling the 1980s rock & roll scene for Netflix. 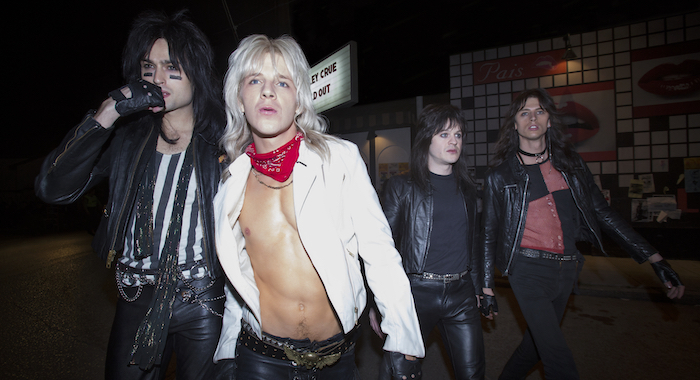 Biopic The Dirt traces the meteoric rise of glam metal band Mötley Crüe, best known for their tour antics and songs like “Shout at the Devil,” “Smokin’ in the Boys Room,” and “Girls, Girls, Girls.” Booth plays Mötley Crüe bassist Nikki Sixx through wild parties, stage dives, and treacherous addiction. Jeff Tremaine, executive producer of shows like Ridiculousness and Nitro Circus and director of Jackass: The Movie, directed the film. Based on the band’s memoir cowritten by The Game author Neil Strauss, The Dirt is really for “fans who know this story inside and out,” Booth says. 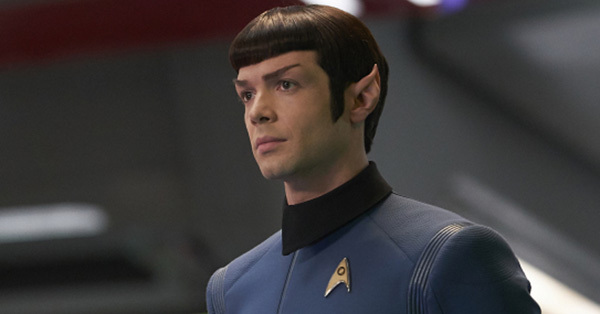 Ahead of the film’s release, Booth told Rotten Tomatoes what show he binge-watched recently, how an ex- deprived him of Game of Thrones, and what it’s like to learn guitar riffs from a rock & roll icon. That’s actually tough these days, because so many things are created for you to binge, or you can watch instantly. And I’m the kind of person that as soon as I start something, I finish it either that day — long into the evening, straight into morning, go straight through. Or on a cozy rainy Sunday, just get through the whole thing. 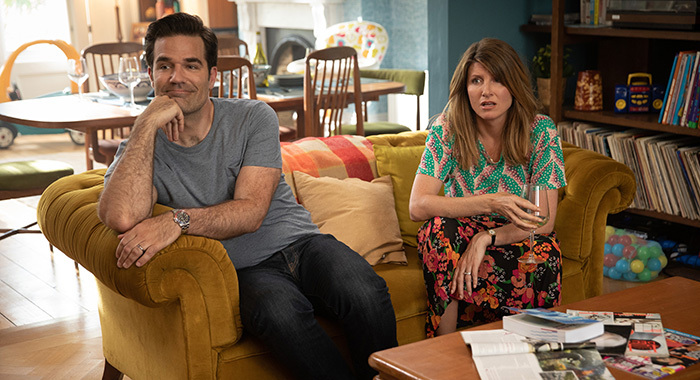 I just watched the whole of Catastrophe, the new series [season for U.S. readers], in two whole nights. I see TV these days as just big extended films, where I want to keep going and watch them. But it’s still exciting to have things that get released week by week, and build a conversation around it, where everyone is watching it at the same time, but I can’t remember the last time I did that. 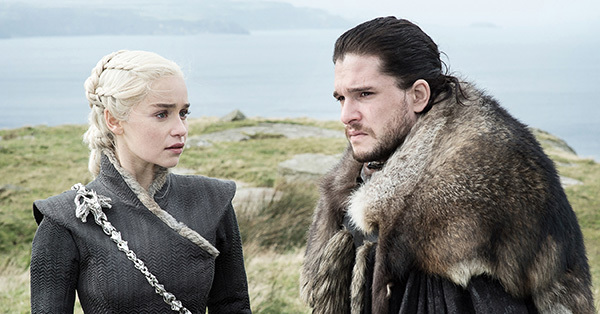 Do you appointment-watch Game of Thrones? No, I’ve never … I watched the first series years ago, and I loved it. And then I remember my girlfriend at the time didn’t like it, so I stopped watching it, and then I feel like I got left behind. I have quite a few friends who are in it, or have been in it, and I’d know when they all died… because they’re unemployed. I kind of knew what was gonna happen by that point. But I am gonna make a point to go back and watch it all. 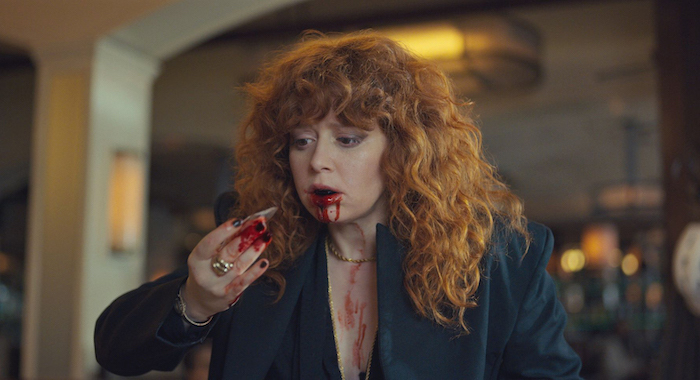 So I just binged Russian Doll, which I thought was fantastic, on Netflix. And also After Life, the Ricky Gervais show. I thought that was incredibly moving, touching, and hysterically funny at the same time. I travel so much that I just really just use my Netflix, my Amazon, my Hulu account to watch shows, or buy the movies… Yeah, I don’t have anything recording on there right now. 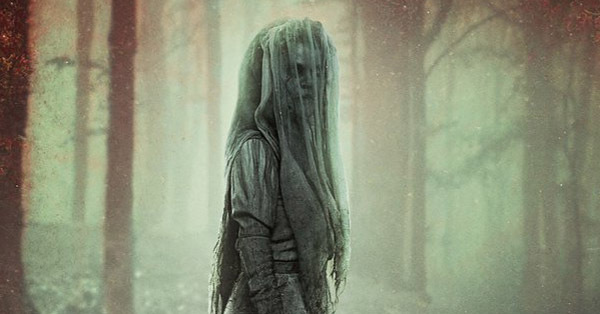 The second series of The OA is about to come out. 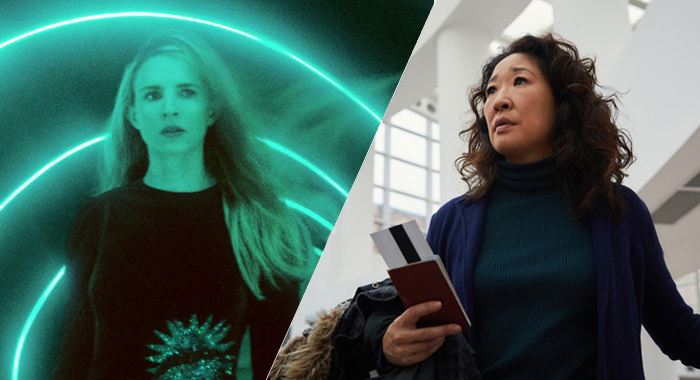 And Killing Eve, which I’m excited to watch. I haven’t watched that. Everyone loves that show… And obviously The Dirt. I remember feeling intimidated by the idea, because he’s a very different character, and it’s hard to put your finger on who he is… But then I did it, and they said they thought it was great, and they asked if I would play Nikki. I said yes, and it was the best decision I made. I absolutely loved playing him, and I can’t imagine anyone else but Colson [Baker] playing Tommy. Were you a fan of Mötley Crüe’s music? Not really. I mean, I was aware of their music, because obviously they’re such a big part of that time period and culture in that time. I’d heard them on the radio, and they have some great tunes. But it wasn’t until I started this movie and actually spent time with it and spent time being them playing it that I fell in love with it — and now, I love it. How involved were Nikki and the band in the making of the movie? Were they ever on set? I met Nikki before, and then Tommy and Nikki came to New Orleans a couple days before we started shooting and joined our band practice we had. We’d been doing it for a month in New Orleans, all the boys together, and they taught us… They gave us tips and gave us some advice on the way they played, how they played, and the way they’d hold their instrument, and the way they do things, so that was very useful. They were involved a perfect amount. They were a band who were very generous and gave thoughts, they gave advice, but then also trusted us to play our roles and took a step back while we filmed. Do you remember any specific props that came from the band directly? I didn’t know how Nikki would react to all of the drug paraphernalia. He’s so sober now, and he had such a hard time battling his addiction problems, but once we got to set, was like, “Show me all the drug paraphernalia.” He was kind curious about it, and wanted to see what it was like, and make sure they got it right. Did he want to make sure it was realistic? Make sure it was real, but he’s done so much to help other people with opioid problems, and it’s something that was important to him, just to be done right and tastefully, and not shy away from the realities. What was it like getting into that head space? Did you talk to Nikki about that time in his life? Yeah, we did. The first time I met him, he actually gave me a copy of The Heroin Diaries, a book he wrote… It was actually a diary that he’d had at the time, and he was writing his thoughts down while he was at the lowest point in his life, really, and going through the psychosis of being addicted to heroin and crack and basically everything in between. It was a real insight into his brain at that moment. It was valuable in that sense. He was very open in talking, too. I remember that first day he came, and … we were doing all the camera tests, makeup and stuff, and it suddenly turned out that he was about to arrive when I was in the makeup maybe that made me look the very worst that I was going to look in the film — I had heroin tracks and marks all up my arm. And I suddenly was like, “I can’t … Nikki can’t see me for the first time looking like this.” I quickly went and changed into a fresher moment in his life. But even if I hadn’t, I don’t think he would’ve minded. He was always very kind of open to it, kind of fascinated by it, too. Did you talk to Nikki about his impression of the movie after he saw it? Well, first he texts me, like, six different texts: “This is so cool, I’m so proud of you,” all this stuff. He said, “I feel like I’m on drugs right now,” because he was literally so excited. 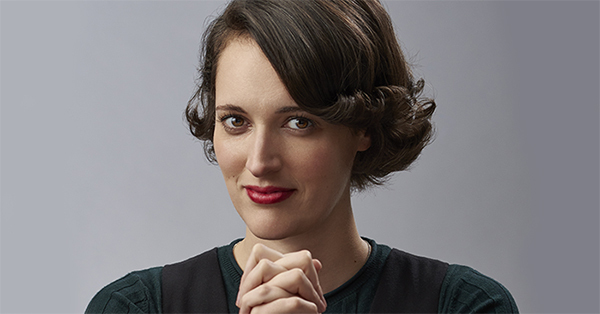 What’s the difference between performing a role that has someone like Nikki, who’s still around and can kind of tell you about who they were in that period, versus playing a completely fictional character? In some ways, you approach it exactly the same way. You’ve gotta create this human being that doesn’t exist until it comes out of you… You just start at the beginning, and go, “Who are they? Where do they come from? What has made this person who they are at the point you start playing them?” So you start delving into into what their childhood was like: What has made this person who they are? What’s filling them with pain? What makes them happy? You’ve gotta start from the same place, and obviously go inside yourself, because you also put your own self in each part, to really make it alive. I mean, there’s obviously the added pressure of them being alive, but at the same time, it’s a help, especially this one. When I played George [Alan O’Dowd], I spent time with George and yes, a good amount of time with Nikki too. And he [would] text me guitar riffs, and give me little guitar lessons over text and stuff, so that was very cool. I think probably the music stuff — a chance to play a massive arena, and get dressed up like that, and have 15 massive hollow cannons, and fireworks going off, and things like that. That’s just something that I’ll never get to do again, so that was one of the coolest. And filming the stuff where it was just the four of us joking around and messing around was funny; it’s not every day you get to run down a hotel hallway and smash a bass guitar against every single light fixture. 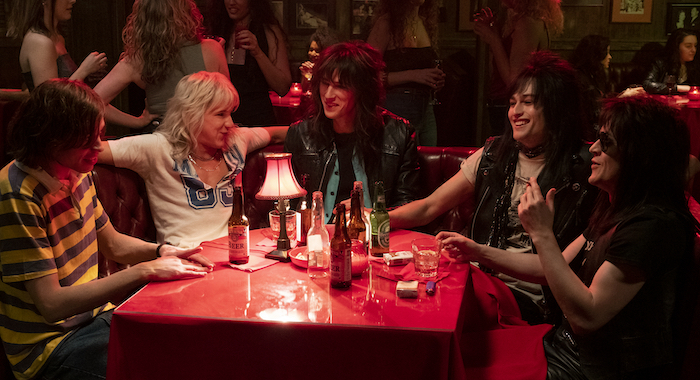 The movie shows a grittiness of the groupie culture and the rock & roll scene in the ’80s. How did you feel about portraying that culture? We wanted to tell a story about a very specific time, a window into a world that definitely does not exist anymore and it is just so much a period film in that sense. 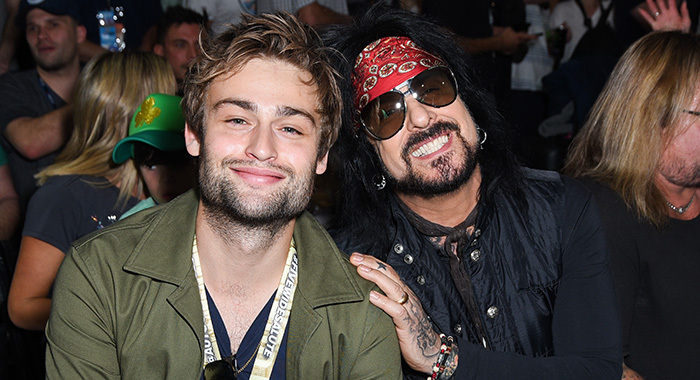 Mötley Crüe sold over a 100 million albums and has millions of fans who know this story inside and out, and we kind of wanted to make this movie for them. I was excited to go and take a trip to the ’80s, because I was born in ’92, and I was never there. I know I’ll never get to live through a time like that for good and for bad, so it was definitely an interesting trip into the past. Do you think that the movie glorifies the kind of boy’s club, super-masculine culture of that era or are there lessons to be learned from it? I would definitely go with the latter. 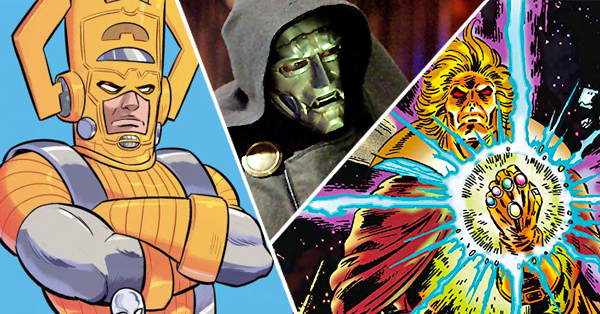 These guys aren’t heroes … They aren’t heroes in our story. It’s a story about, if you live too fast and too hard and fly too close to the sun, you can crash and burn. A lot of these men, they lost a lot of things in their lives, and they hurt themselves, or they hurt others. They live with regrets, but they came through it alive and knowing them now as better people. Do you have any music biopics that you love? Yeah, I saw Bohemian Rhapsody, and I mean, I absolutely love Queen and the music. You can’t help but by the end of that movie just be completely swept up by it — when that Live Aid concert happens at the end, you’re totally there. 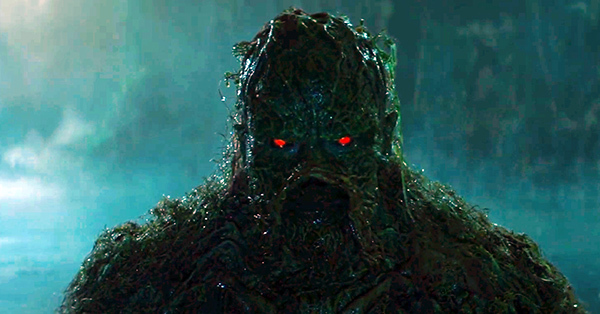 But I think it’s very different film tonally from our movie. 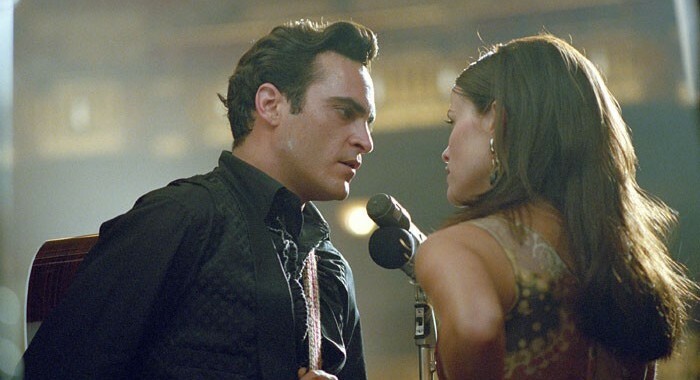 I loved Walk The Line with Joaquin Phoenix. It’s one of my favorite films. [In] one of my first-ever lead performances, I played Boy George in a biopic about his life [Worried About the Boy]. It was kind of like my big break in the UK. It was a BBC film. 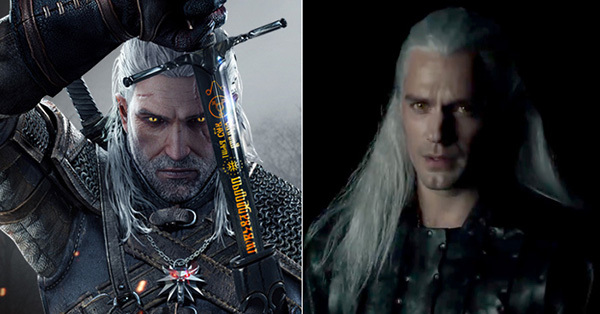 I loved playing both these characters.